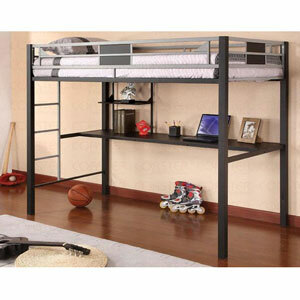 This Twin Size Workstation Loft Bed Is Perfect For Saving Space In Any Bedroom. Features Includes A Black And Silver Metal Frame And A Desk With Shelves. Strong Construction. Easy To Assemble.